I try to get in some strength training 3-4 times a week, preferably right after a run. I will use free weights on my bench independently, complete a round of post-run ‘power’ exercises (I’ll share those soon), or some glute and hip work with a resistance band, core-work and/or a ‘boot-camp’ or ‘HIIT’ type workout to get it all in. Below is a total body workout that you can do in 15min (1 round) or make it a 30min workout (by completing 2 rounds). All you need is a set of hand weights (5, 8 or 10+lbs) and a clear space to get in this total body workout. Especially great right after you get back from a run and are already warmed up and ready for some additional work! Easy workout you can do anywhere + Holiday Plans! Are you looking for a Total Body Workout to power you through the holiday weeks coming up? Grab a pair of free weights and some space and you can do this anywhere… great excuse to escape the family for 30 minutes. 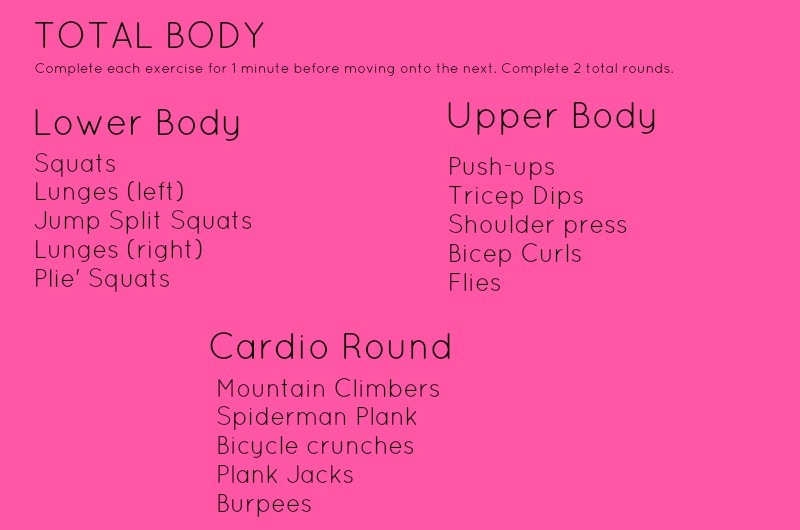 Or even better, go for a run to get some fresh air and then end with this total body workout! What is everyone doing for the last week/ weekend before the holidays really hit? We need to get our Tree and make a visit to Santa! We’ve already played in some ‘snow’ (man-made) last week! It’s the time of the season that many runners take a break from training for a specific race, so it’s perfect timing to pick up the slack in working on the core basics of strength the body needs to stay healthy, injury-free and strong. The time you spent running long mileage you should spend building a nice base for next year. Check out some of these moves on Runners World The Body Shop: Ground Work to lay the groundwork for a strong body for next season. 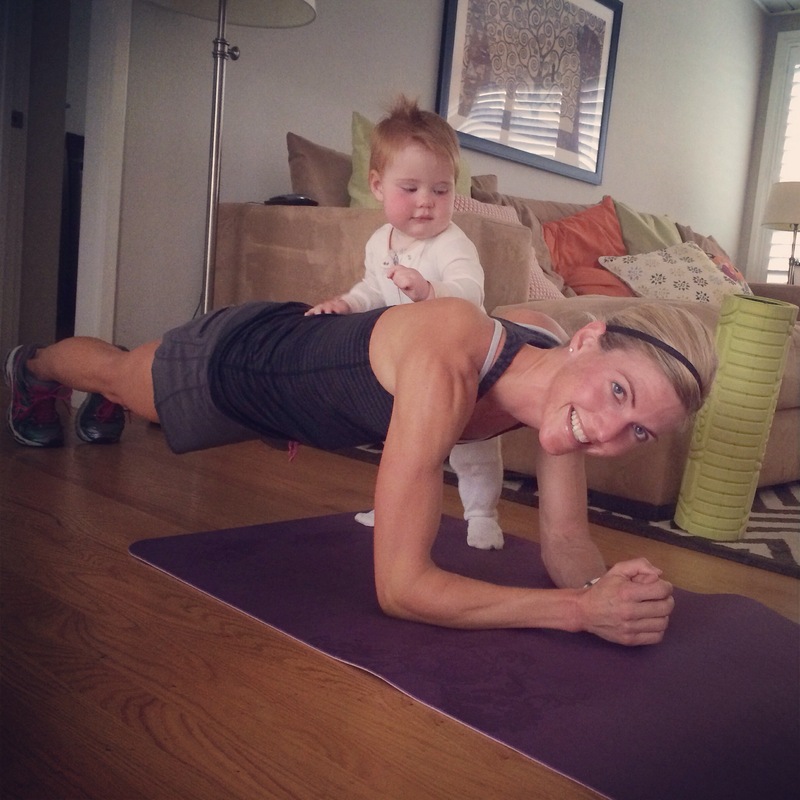 I didn’t consistently start doing abs/ core until after I had a baby when I suddenly realized my stomach had been obliterated! 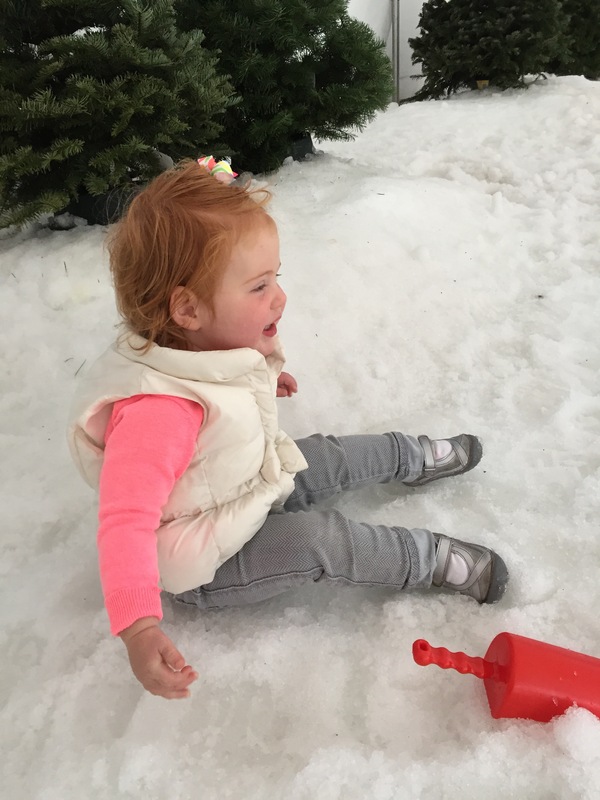 I feel like my running is stronger now post-baby because I started to focus on the little things like core, hip, glute work… it all adds up to making you stronger and all-around athlete with less injury too! Win-win-win all around. For the exercises you may not be not familiar with I found a youtube link with an example. But you can google any of the exercises to review and then once you know them it will be a quick, less than15 minute, core routine. You can do it 3x+ a week or more and edit down the moves. I also found this awesome workout through Oiselle, called the Dirty Dozen. You’ve got to check it out! Dr. Lesko knows what she’s talking about! How is that core feeling already just looking at the moves!? What is your favorite core strengthening move? 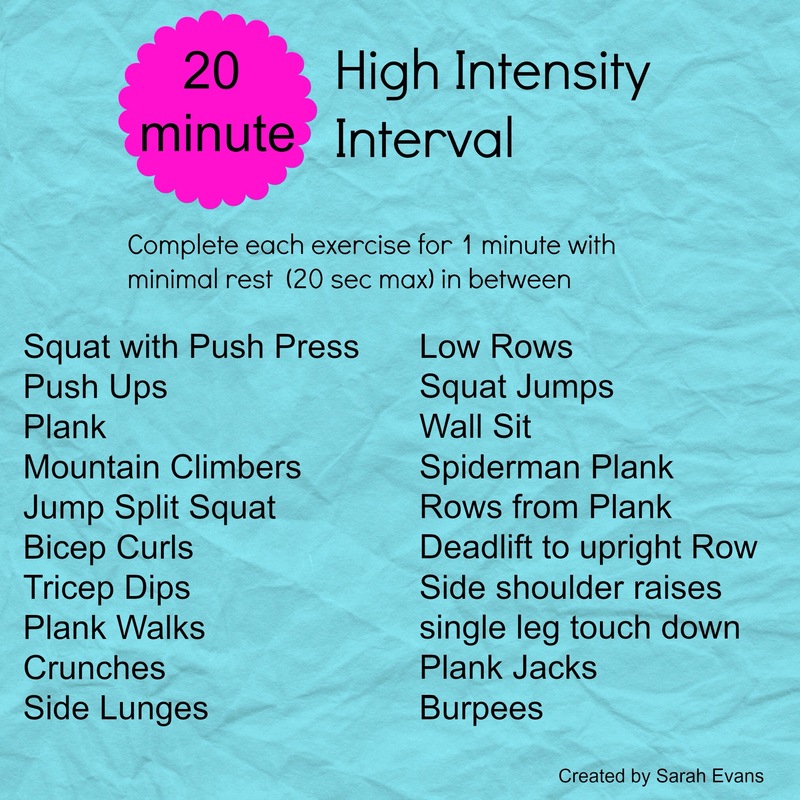 One of my favorite ways to work up my heart rate and get in a good sweat is a type of high intensity interval workout… or basically doing one move right after another continually for 20 minutes straight! This is a good addition to complete immediately post-run to get in some strength training/ core work while you are already warmed-up. I’ll post another core-work out later this week that is also a good post-run addition too! Take a 20 second (max) rest in between doing each move for 1 minute. I left some links with a video on some moves you may not be familiar with or you can easily Google the move to see exactly how it’s performed. I also have an interval counter (GymBoss http://www.gymboss.com/) that keeps me on track so I don’t have to keep glancing at my phone/ stop watch/ the clock! You can download an interval timer on your smart phone as well. What’s your favorite post-run stretch, ab/core work or exercise?